Is the multimedia leader in editorial coverage of control, instrumentation and automation. 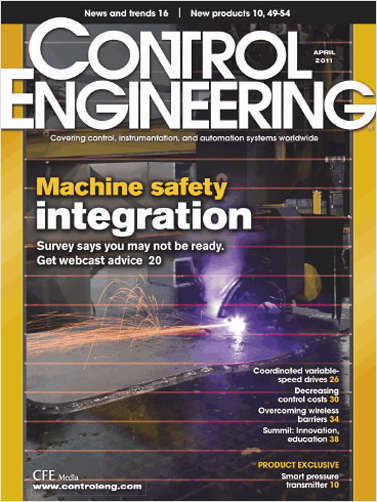 Do you wish to receive a FREE subscription to Control Engineering? I wish to receive the following edition of Control Engineering. Do you provide system integration or engineering services to manufacturing organizations? Do you design, build, or install machines for resale to other companies? Do you design, build, or install machines for use within your own company?